1. 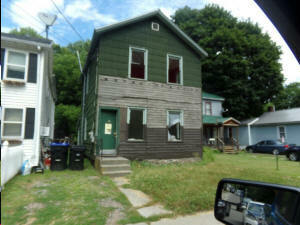 All properties offered at this auction have been foreclosed under Article 11 of the New York State Real Property Tax Law. 2. 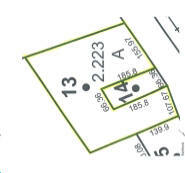 All properties are sold “AS IS-WHERE IS”. Bidder shall be solely responsible for determining all conditions of the property prior to bidding. The County sells only its lien or interest. All deeds issued shall be by Quit Claim Deed only. 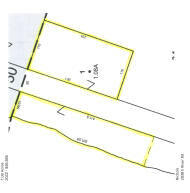 The County makes no representation as to the quality of title, lot size, shape or location or conditions or existence of any or all improvements on any parcel. The County will not furnish an abstract of title or title insurance. 3. All references to Mobile Homes, manufactured housing, or any description thereof are for identification purposes only. The County makes no representation as to whether or not the mobile home, manufactured housing, shall be considered attached to the property. All determinations as to the status of the mobile home, manufactured housing, shall be the sole responsibility of the purchaser and the County shall make no representations or warranties. 4. Properties will be conveyed to the highest qualified bidder. The Tioga County Legislature reserves the right to reject any and all bids of any kind. Neither the delinquent taxpayer nor anyone acting on their behalf shall be entitled to bid or purchase the property for less than the full amount due including all taxes, fees and penalties once the County has taken title. Those individuals who have previously defaulted on a bid, or who are currently delinquent on any other parcel in the County shall not be permitted to bid on any additional County properties offered at this auction. 5. Any promotional tools such as photographic slides, tax maps, written or verbal descriptions, etc. are for informational purposes only. 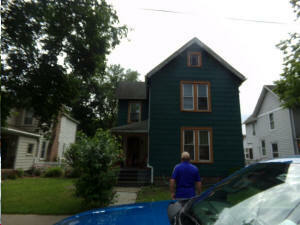 Each bidder should research and visually locate the properties prior to bidding. 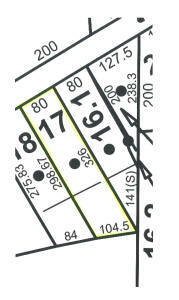 Town zoning and building code information can be obtained at the town or village where the property is located. It is the responsibility of the bidder to research any existing violations or restrictions on the property. 6. Risk of loss or damage by fire, vandalism or any other cause (except taking under the power of eminent domain) between the time of sale and the time of deed delivery is assumed by the purchaser. 7. All potential Bidders must show acceptable identification for issuance of a Bidder/Buyer number. 8. All Bidders and all Buyers must register for this auction and must hold a Bidder/Buyer number. 9. Each purchaser will be required to sign a legally binding Property Bid Acknowledgement Form for each purchase which commits the purchaser to compliance with all Terms and Conditions as stated herein. 10. 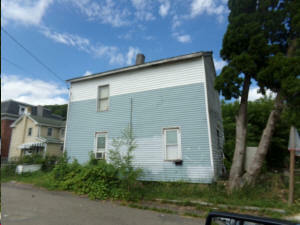 The Tioga County Treasurer reserves the right to withdraw from sale any properties which are listed and or at his option, to group one or more parcels together into one sale. 11. All decisions regarding the bidding disputes shall remain completely within the Auctioneer’s discretion. 12. The Auctioneer retains the right to reject any bid that is not within current bidding increments or that is not an appropriate advancement over the preceding bid. 13. The Auctioneer and the Seller shall remain forever immune from any and all liability concerning any personal injury, environmental hazards or property damage occurring before, during or after the auction, no matter what the cause. Additionally, the Auctioneer and Seller shall remain forever immune from the consequence of purchase of any and all properties at this auction. 14. The winning bidder will be responsible for the removal of any unwanted occupants/tenants on the property after the auction. 15. Payments shall be made by cash, business or personal check drawn on New York State Or Pennsylvania Bank, bank check, certified check or money order. Bank instruments must be made payable to the Tioga County Treasurer. The property transfer reports will be prepared and the closing process conducted by the Tioga County Treasurer’s Office. 16. Full payment must be made immediately at “knockdown” (when the Auctioneer says sold), for any and all properties sold for $3,000 or less. 17. For any and all properties sold for more than $3,000, the amount of $3,000 plus 10% of the amount over $3,000 must be paid immediately at “knockdown”. 18. The Successful Bidder must also pay a Buyers Premium of 7% of the Selling Bid Price, in a separate check or cash payable to Mel Manasse & Son, the day of the Auction. 19. The remainder of the purchase price must be paid with guaranteed funds and received by the Tioga County Treasurer at a scheduled closing, in approximately one month. All closings must be conducted by September 30th. 20. The purchaser, at closing, will pay all recording fees. Check To Be Made Payable To Tioga County Clerk. 21. Failure to close on a property or failure to pay the remainder of the purchase price, subjects the purchaser to loss of any and all monies, and all rights or claims to the property in question. It will be the responsibility of the purchaser to ascertain what charges exist on a property. Please contact the appropriate village, school, or sewer, lighting district or town for this information. Assessors Office of the town in which the property is located. Statements Made Day of Sale Take Precedence Over Printed Material. Brochure Is Continually Being Updated, Please Keep Track Of Our Website @ www.manasseauctions.com For Updated Information. 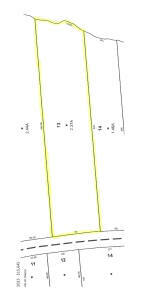 Description: 210 – 1 Family Res. 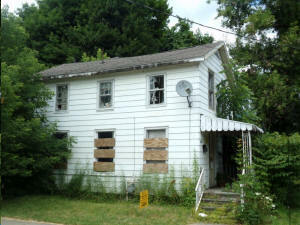 White 2 Story Single Family Home in Poor Condition. Directions: Rt. 17C in Barton to CR. 11 Oak Hill Road, 200FT House on Left. Description: 962 – Vacant, Goes Street to Street - Fulton Street to Clark Street. Directions: In Waverly Take Broad Street to Fulton Street. 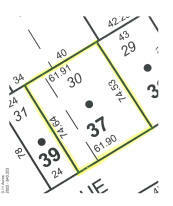 Lot Size: 70.5 Acres; 1225 FF Goes Around Sharp Corner. Description: 322 – Rural Vac. 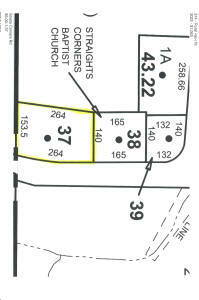 > 10; Open in Front, Wooded Rear, Has Nice Pond. Directions: West Creek Road From Weltonville to Elmer Hill Rd. 7/10 Miles to Parcel on Left. Directions: From Rt. 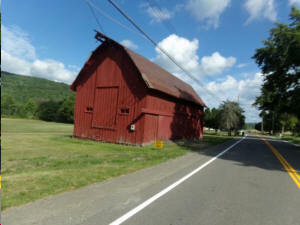 38 North of Newark Valley Take Wilson Creek Road. 1.6 Miles to Right on Dalton Hill Road. Go 0.5 Miles to Lot on Right/ Across From White House #611. Description: 311 – Res. Vac. 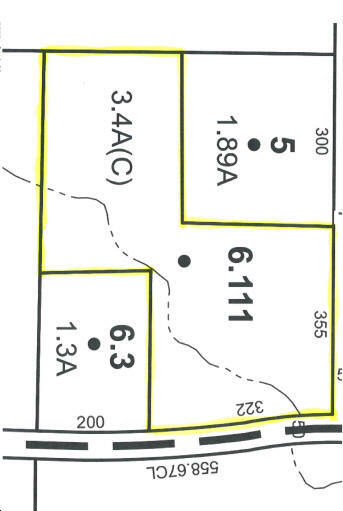 Land; Looks Like It Had a Home on it, Has Utilities, Borders River on Other Side of it. Description: 270 – Mfg. 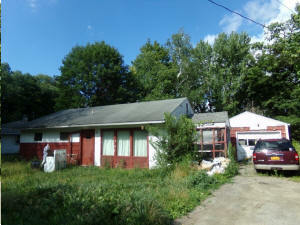 Housing; Gray Singlewide; Mobile Home –Large Home in Secluded Area. Also 2-Car Detached Garage. Nice Setting, Has River Frontage. 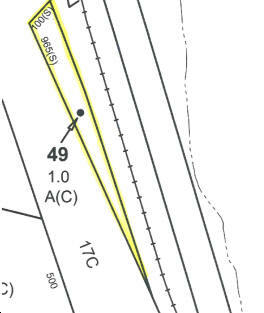 Directions: From Lounsbury Take River Road East, Go 1.2 Miles to Left on Quarry Rd., Go 2/10 To Place on Right. 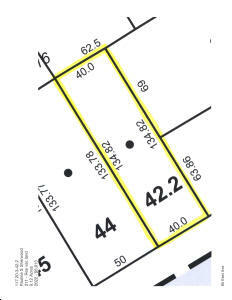 Description: 220 – 2 Family Res. Grey Sided 2-Story 2 Family Home with Garage/Barn in Rear. Directions: Corner Of Front Street & East Front Street, In Village of Owego. 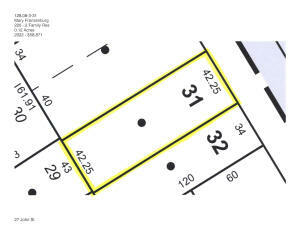 Description: 312 – Vac. w/ Imprv. Vacant Residential Lot. Directions: Rt. 17C Main Street top McMaster Street. 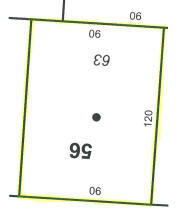 Description: 210 – 1 Family Res. 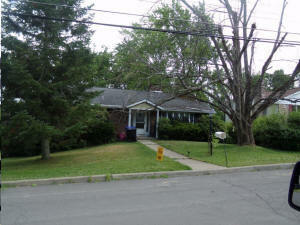 Grey Sided, Single Family Ranch Home w/ 1 Car Detached Garage, Vacant. Directions: From Owego by McDonalds Take Rt. 17C East 1.2 Miles to Home on Right. Description: 311 – Res. Vac. Land; Landlocked. Directions: Rt. 434 to Orchard Ave Development. Directions: East Main Street in Village of Owego. 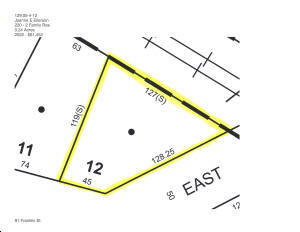 Description: 210 – 1 Family Res. Red Sided 2-Story Single Family Home – Occupied. Directions: Main St. to Spencer Ave to Chestnut St. or Rt. 38-North Ave to Chestnut St. In Village. Description: 311 – Res. Vac. 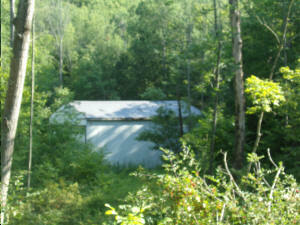 Land w/ Small Steel Building. Directions: Rt. 17C Main Street to McMaster St. In Village. Description: 314 – Rural Vac. 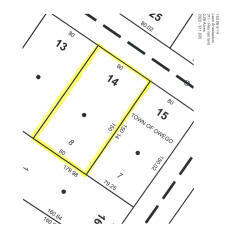 < 10; Vacant Land Parcel, Had Home One Time. Directions: From Richford Take Rt. 79 West 2 Miles to Michigan Hill Rd. Go 2 Miles to Right onto Rockefeller Rd. Go 1.4 Miles to Place on Left Just Passed Mailbox 287. Description: 314 – Rural Vac. 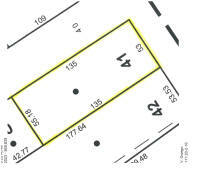 < 10; Open in Front and Wooded in Rear, Vacant Lot. Close to NY State Land. Directions: In Richford Take Rt. 79 to W. Hill School Rd. 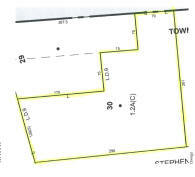 to Intersection of Robinson Hollow Road & Creamery Road, Go 800FT to Lot on Right. Description: 314 – Rural Vac. < 10; Landlocked. 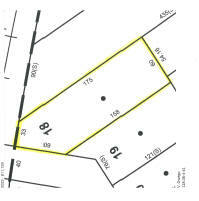 Directions: Route 17C in Smithboro, Take Halsey Valley Road 3/10 Miles to Allyn Road, Go ½ Mile to Lot Next to House #87.